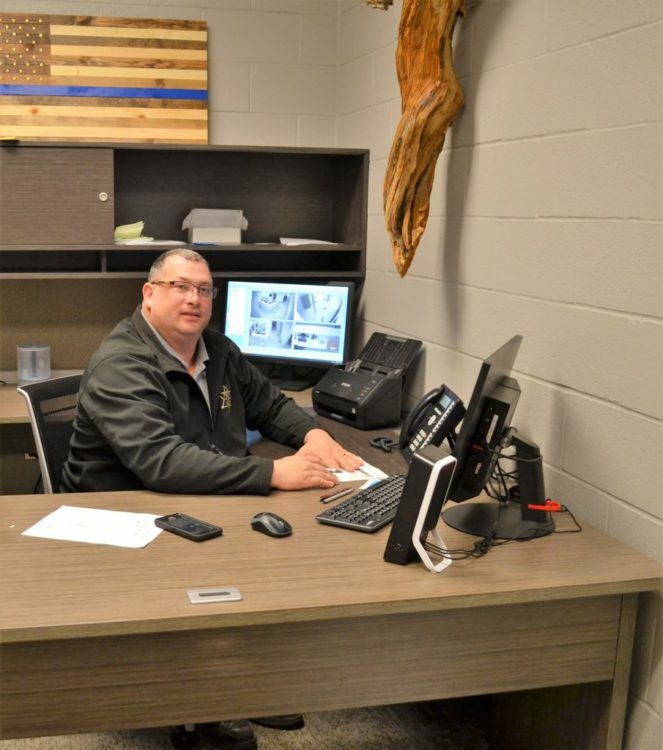 BCSO Major Bobby Reed in his office at the Bourbon County Law Enforcement Center. Personnel at the Bourbon County Sheriff’s Office have been making available the Daily Intake Roster, including photos of those arrested at the jail. This public service has been available on the Bourbon County Sheriff’s Office Facebook page since moving into the new jail facility in June 2018. They had provided the service a short time before moving to the jail, in fact. But it was too time-consuming, said Major Bobby Reed. “It took one and one-half days of time, so we discontinued,” Reed said. 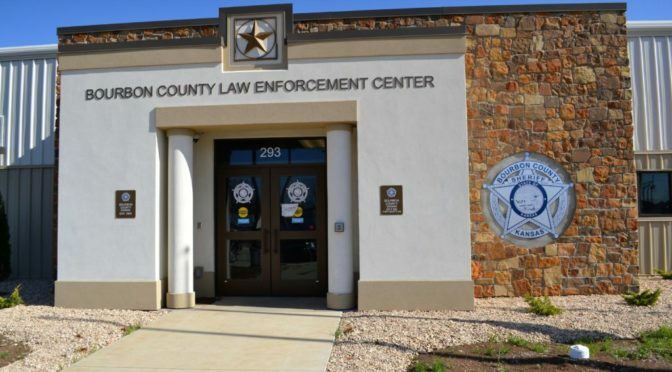 With the help of the Labette County Sheriff’s Office, BCSO built a system that allows quicker delivery of the information to the public. In recent days, they have been catching up posting the information from the arrests of October until January. The Daily Intake Roster includes a photo of the inmate, their name and age, their offenses and bond amount and type. “We did October, November, December and January (arrests) online in about 45 minutes,” Reed said. “We’ve had a lot of requests from the community of ‘when is it going to be back up?’,” he said. “We are only doing them by months, we just ran January 2019, so the next one will come out at the end of February. On February 1, there were 72 inmates in the BCSO, with 15 Linn County inmates included in that total, Reed said. I’m wondering if posting records and photos of those arrested is a violation of their civil rights and right to privacy. After all, someone who is arrested is only “alleged” to have committed a crime. In America, people are still maintained to be innocent until proven guilty. I’d like to hear from a public defender on this matter. Mug shots are part of the public record and as such are publically available information. You can’t claim that your right to privacy prevents a speeding ticket or other infraction from generating a public record. Same thing with mug shots.